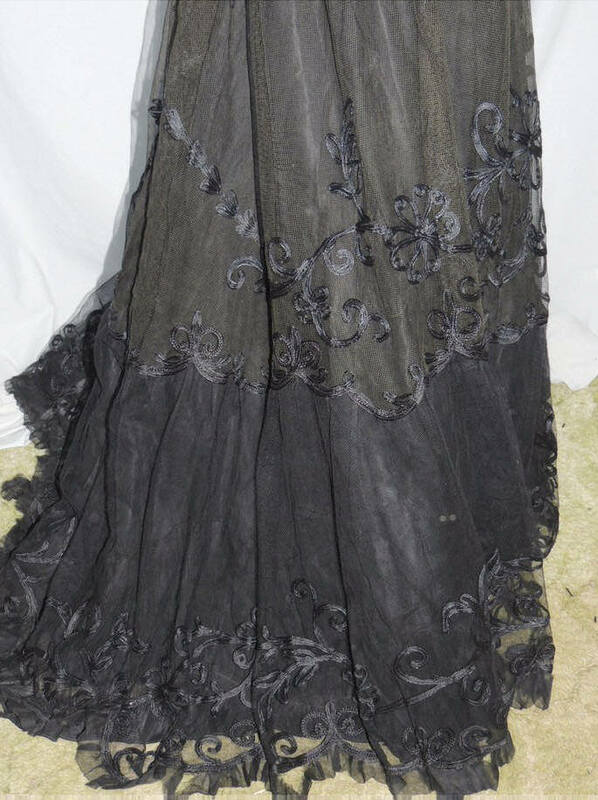 This beautiful Victorian skirt is made from black tulle and it's elaborately trimmed with soutache and lace. It has a large lace flower in front and vines and flowers made from soutache. 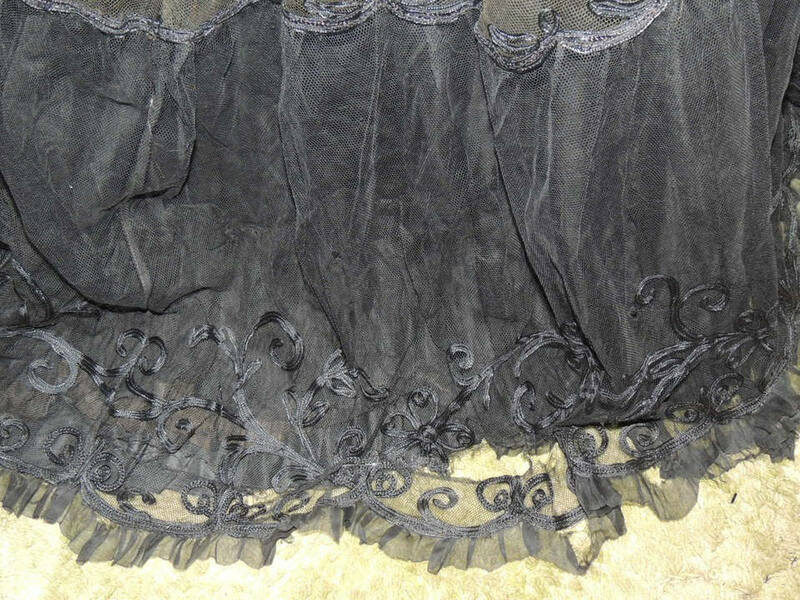 There's a ruffle around the bottom with a scalloped bottom and a narrow tissue silk ruffle. 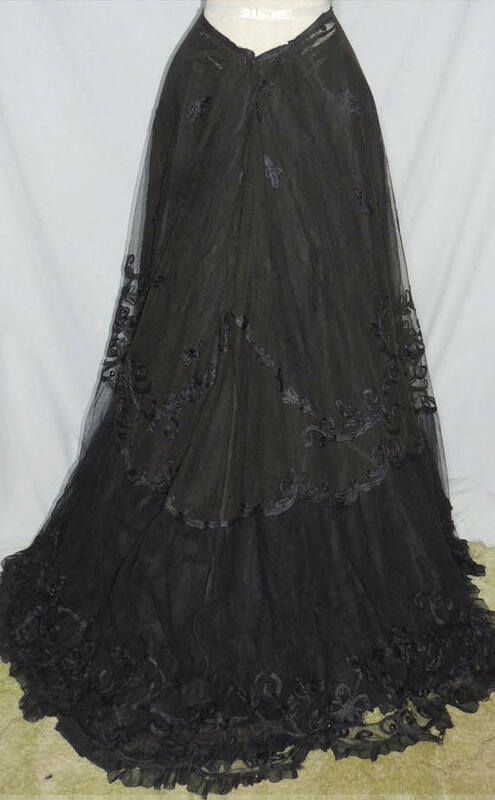 Under the tulle is another layer of tissue silk and it's lined in taffeta. The tulle has some small holes that will easily mend and a long tear at the bottom edge that will mend up OK. The tissue silk has some tears that will need mending, but overall, it held up pretty well for tissue silk. The taffeta is pretty good, but has some stress tears under the waistband, the rest of the taffeta is good. 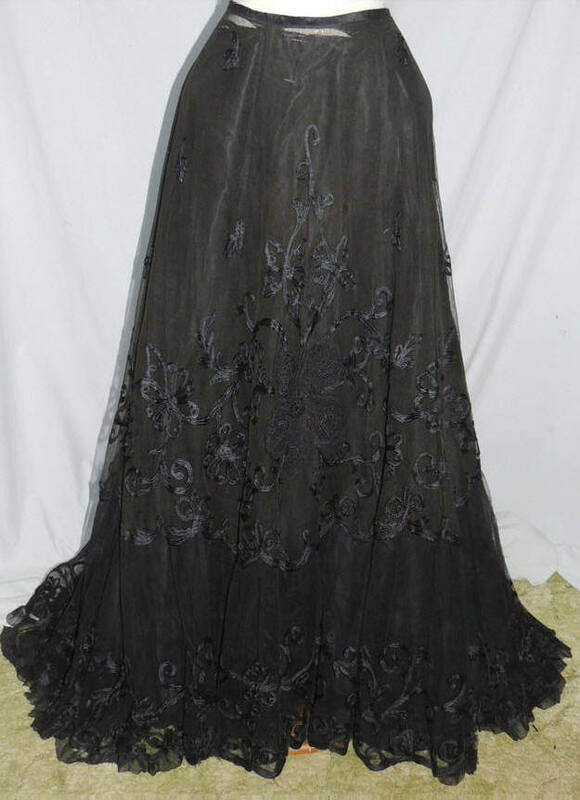 It measures 29 inches around the waist, hips are full and it's 40 inches long in front, dipping to a train in back. This really could go either way of the 1890's/1900's line.